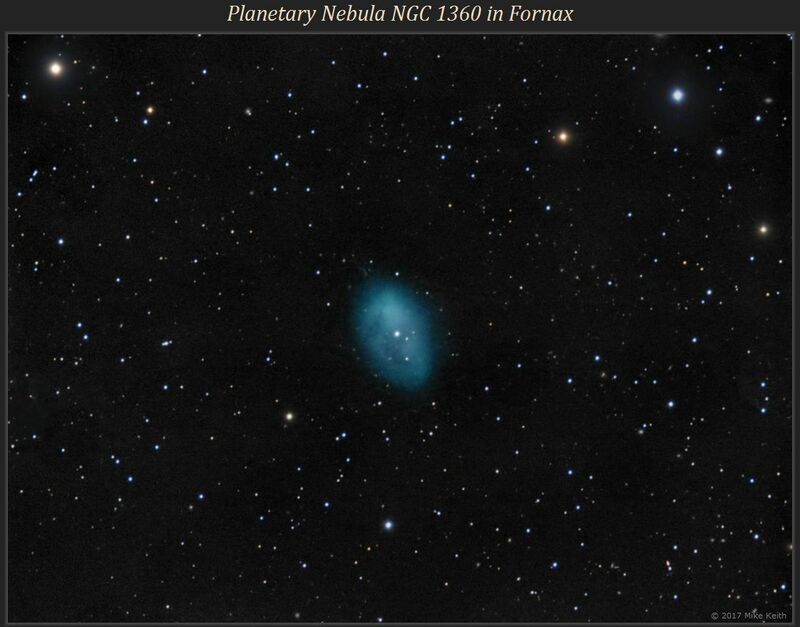 NGC 1360 is a beautiful planetary nebula in the southern constellation of Fornax. 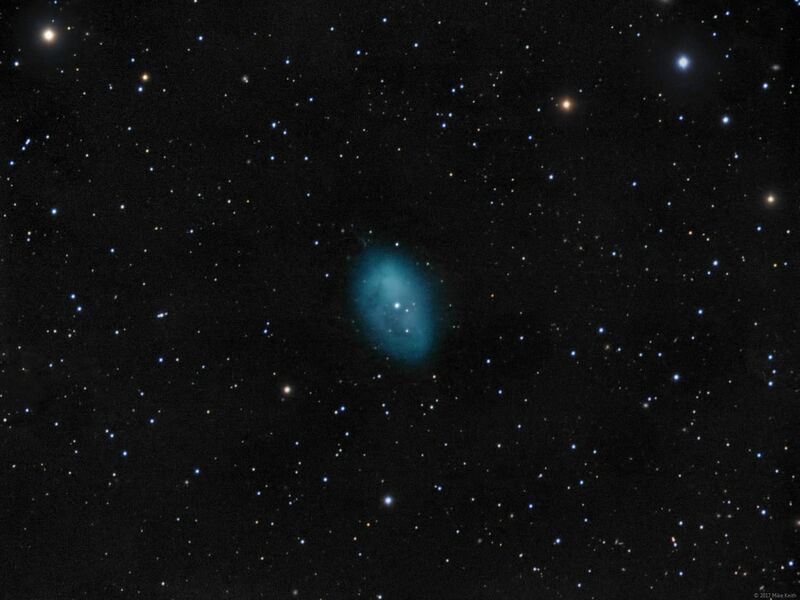 It is large (even larger than M27, the Dumbbell Nebula) and reasonably bright, and unlike most planetaries that are roughly round, is oval-shaped. It is not too well-known to northern observers (like myself) due to its low position in the sky, but even at my latitude of N 39.3 it is quite easy to capture. This image used a mere 45 minutes of L combined with 30 minutes each of R,G,B.